Tokyo Station Pokemon Store limited item! 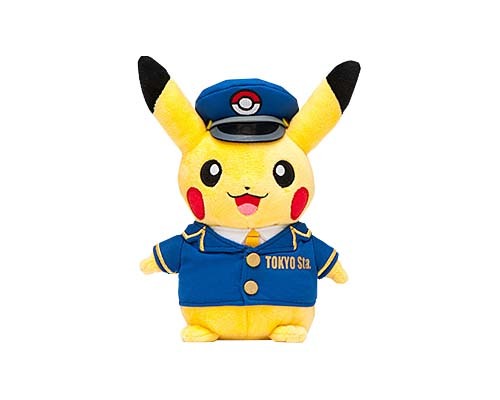 Introducing the new Pikachu plush toy and the Pikachu mascot keychain, wearing a Tokyo Station train staff uniform! On Saturday, March 21, a plush toy and a mascot keychain of Pikachu wearing a Tokyo Station train staff uniform will make its debut at the Tokyo Station Pokemon Store! The Tokyo Station Pokemon Store is the only store where you can obtain this limited item, so don’t miss out! Don’t you just want to catch both the plush toy and the mascot keychain? Pokemon Candy: Candies & Snacks have never been this Cute!